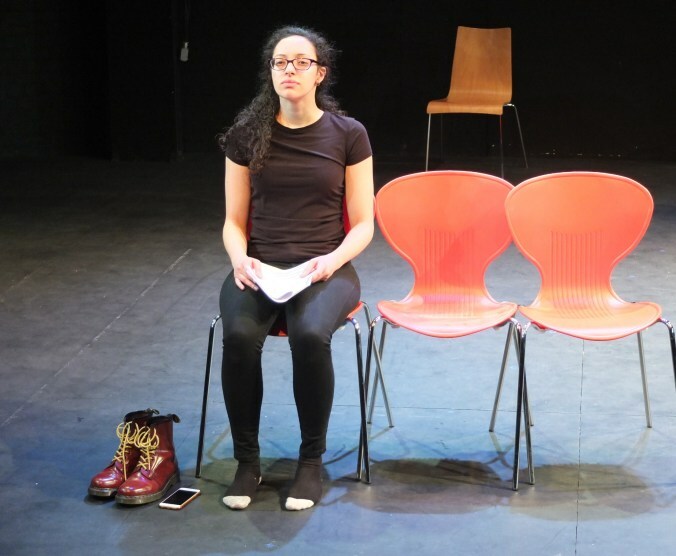 BOLDtext’s first all-female Open Door – three writers, two actors and a director – continued our focus on law and order, following our very successful site-specific production Behind Bars – Ghosts of the Lock-Up in October 2018. This time we adopted a modern context by looking at sentencing in the UK today. The BOLDtext writers scripted three short plays on that theme, after which we held a panel discussion with Warwick University law professor Jackie Hodgson and probation officer Keith Stokeld, discussing ‘weekend prison’, the impact of privatisation on the probation service, sentencing in domestic violence cases, and more. BOLDtext Playwrights’ Behind Bars – Ghosts of the Lock Up, went down a storm in Birmingham city centre’s Steelhouse Lane Lock-Up – with sell-out audiences who loved the humorous and heart-wrenching tales we told, as well as the more everyday stories embedded in the WM Police former Lock Up building. Writers: Stephen Jackson, Liz John, Nicola Jones, Sayan Kent, Vanessa Oakes, Tim Stimpson and Julia Wright. Director: Jo Gleave. 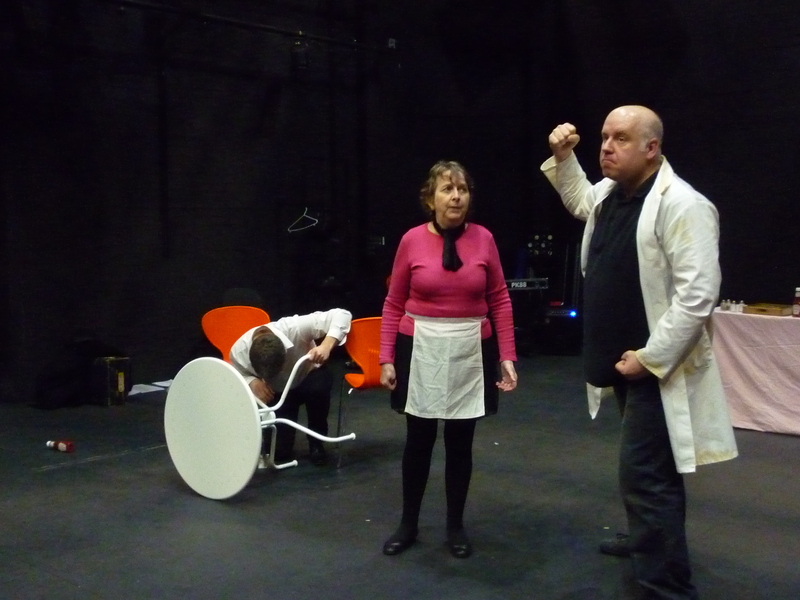 Actors: Alison Belbin, David Gray, Francesca Millican-Slater, Graeme Rose. On the evening of Elvis’ 83rd birthday we explored the crazy world of the ultimate celebrity and followed it up with our popular Unwanted Xmas Present Swap hosted by our Ted Pigeon (AKA Stephen Jackson). Writers: Helen Kelly, Vanessa Oakes and Julia Wright. Director: Clare Smout. Actors: Ashleigh Aston and Vimal Korpal. Liz John and Julia Wright presented the first 40 minutes of brand new full-length plays. Liz’s World War 3 explored modern-day activism, and the challenges faced by young idealists living a non-ideal lives. Julia’s Unfollow Me was about the worrying consequences of stalking and its profound effect on, in this instance, a 25 year old young woman. Writers: Liz John, Julia Wright. Directors: Caroline Frewin, Julia Wright. Actors: Jalleh Alizadeh, Phoebe Cresswell, Sarah Gain, Nadia Kemp Sayfi, Oli Leonard, Jack Richardson, Dru Stephenson. Our post Christmas show explored the politics of consumption and asked: Why do we always want more than we need? Have you got an empty bank account, a tight waistband and a pile of unwanted Christmas presents? We finished the evening with an anarchic Unwanted Christmas Present Swap hosted by our director Janice Connolly (AKA Mrs Barbara Nice). Writers: Stephen Jackson, Liz John, Vanessa Oakes and Julia Wright. Director: Janice Connolly. Actors: Shannon Anthony and Janice McKenzie. We decided to focus our dramatic microscope on mental health and asked: What happens when things in your head aren’t what they’re supposed to be? Or what if they are and it’s everyone else who has the problem? Writers: Stephen Jackson, Sayan Kent, Vanessa Oakes and Julia Wright. Director: Ola Animashawun. Actors: Miriam Edwards and Greg Hobbs. In May 2015 The Tories were back in power and the European Referendum was on the horizon. That’s when one of us said: We should do something about that… So, that’s exactly what we did. While we didn’t have any answers we hope we asked some of the right questions. Writers: Stephen Jackson, Nicola Jones, Liz John, Helen Kelly, Sayan Kent, Vanessa Oakes, Tim Stimpson and Julia Wright. Director: Bob Eaton. Actors: Jade Samuels, Jenny Stokes and Rich Stokes. Excerpts from two new plays exploring the human cost of the accident in 1986 at Chernobyl and reliving a 1966 road trip across Greece, Turkey, and Syria (based on Tony Fisher’s autobiographical book). Writers: Vanessa Oakes and Tim Stimpson. Directors: Mark Evans and Milli Bhatia. Actors: Aimee Berwick, Mark Carey, Daniel Hoffman-Gill, Nadi Kemp-Sayfi, Janice McKenzie, David Nicolle, Ben Norris, Rochi Rampal and Sam Swann. In 1582 Pope Gregory XIII replaced the old Julian calendar with the modern day Gregorian calendar, adding one extra day to the shortest month every four years, thus keeping the months in time with the seasons. Taking this event as inspiration, BOLDtext Playwrights return to Birmingham Repertory Theatre with six micro-plays about what this extra day means to the ordinary person. Writers: Stephen Jackson, Liz John, Nicola Jones Sayan Kent, Vanessa Oakes and Julia Wright. Director Peter Leslie-Wild. 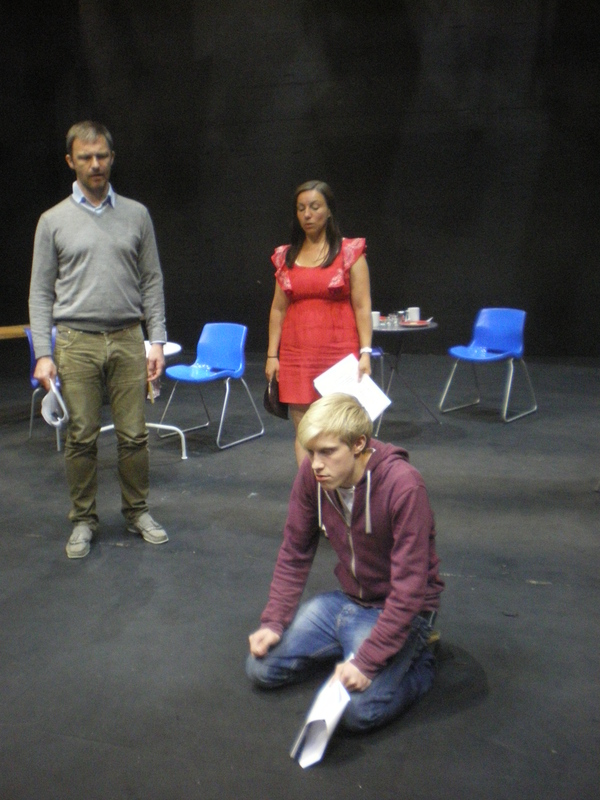 Actors: Therese Collins, Chris Hampton and Aimee Powell. In the Autumn 2014 season of Open Doors at The Rep, we presented Selfies and More Selfies – a series of self-portraits exposing what it’s really like to be a working playwright in the Midlands today. For once, we were the ones on stage, engaging directly with our audience as we presented our own monologues. The results, like all good selfies, were entertaining, diverse, occasionally comedic – and sometimes downright bizarre! These shows were curated by Vanessa Oakes and toured literary festivals in 2015/16. REP Night 1 featured hard-hitting contemporary drama from Sayan Kent (The Predator), an innovative stage adaptation of a WWI diary by Vanessa Oakes (A Diary without Dates), and a thought-provoking political piece from Tim Stimpson called Liberal Guilt. called Roller Diner from Stephen Jackson and a dark and intimate drama about post-natal depression called Post by Helen Kelly. Our third and final night, REP Night 3, featured two contrasting family dramas – Friday Afternoons from Liz John (directed by Janice Connolly) and Never Let Me Down by Julia Wright (directed by Ali Belbin). As well as helping to develop some exciting new stageplays, our Open Door programme has also showcased the considerable talents of Midland actors and directors. Their input was greatly appreciated by BOLDtext playwrights and by our enthusiastic audience. Our three Rep Nights were funded by Arts Council England.